L-R: Rear – Tom Edmonson, Luke Mateljan, Sue Bung, Francis Bung. Sitting – Ray Bushnell, Bruce Bung. YMAC congratulates Nyiyaparli Engineering Mine & Maintenance Services Pty Ltd (NEMMS) and Western Plant Hire (WA) Pty Ltd (WPH) who have just announced an incorporated Joint Venture to conduct Plant Hire and Mining Services in the Pilbara. 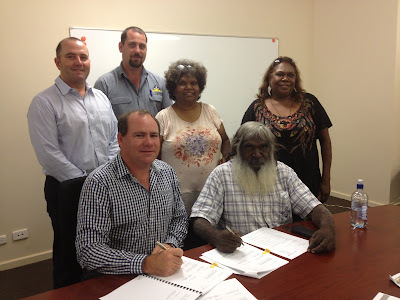 NEMMS is an Aboriginal owned and run company, established in 2010 by members of the Bung family, who are Traditional Owners of Nyiyaparli country in the Pilbara. WPH offers a complete plant hire service and Crushing Services with clients including Fortescue Metals Group (Fortescue) and Rio Tinto, among others. WPH have been working closely with NEMMS for the past 12 months at Fortescue Cloudbreak mine, providing several large items of mining equipment. The joint venture agreement gives 50/50 ownership to each company and will be managed by a Board with equal representation. Sue Bung, NEMMS Director, said the partnership was a way for her family to participate in the local economy and get back to her traditional country. “We started NEMMS because we wanted to get up and do something for ourselves. Western Plant Hire and Fortescue have really given us a start, and I’m thankful for this opportunity. It lets us get back onto Nyiyaparli country, to our songlines and sites, to keep our law and culture going. I look forward to getting our younger generation involved”. Ray Bushnell, Chief Executive Officer, WPH said, “We have been working with NEMMs for over a year and got to know the Bung Family very well. We saw that we had similar values, that we could create a good partnership. It made sense to take things to the next level and set up a joint venture. Since day one, NEMM’s commitment to the process has never faltered. They have been so driven, keen to learn, do more and get involved in the business operations from a day-to-day perspective”. Isak Buitendag, Fortescue Director External Affairs said that this agreement represents the culmination of 18 months of hard work and dedication by the Bung family, Western Plant Hire and Fortescue. “It is wonderful to see NEMMS reaping the benefits of their effort to secure this joint venture with Western Plant Hire to service the resources industry. We look forward to seeing this joint venture create employment opportunities and develop an economic base for the benefit of NEMMS and their community”. Sue Bergersen, Business and Workforce Development Manager for Karlka Nyiyaparli Aboriginal Corporation, assisted NEMMS in the agreement negotiations. 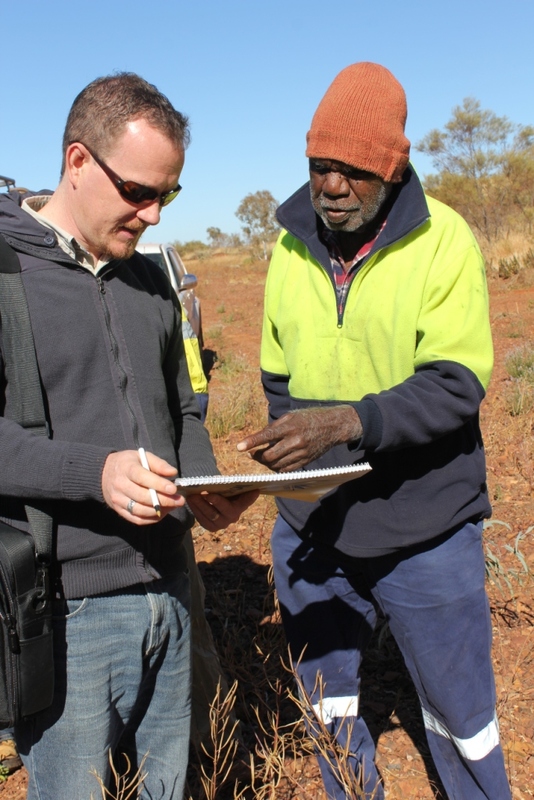 “This commercial arrangement is a very real and tangible example of the effort being undertaken by traditional owners in the Pilbara to change their futures. This partnership utilises current mining and market opportunities to build financial capacity, independence and employment pathways for family members”, she said.